The "Felony Lane Gang" is breaking into cars and stealing from people in New Hampshire, according to police. 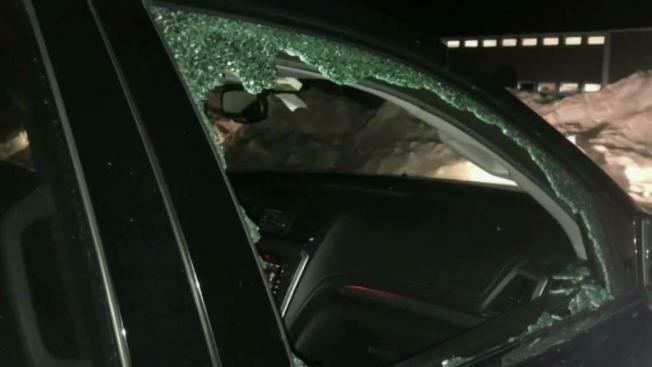 Police in southern New Hampshire are warning residents that the "Felony Lane Gang" is in the area, breaking into cars, stealing valuables and trying to steal identities. They've victimized 10 people in Londonderry and Windham just this week, police say. Gang members made a quick stop at Gym-Ken Gymnastics in Windham. The owner says within 10 minutes, they broke into four cars, stole wallets and purses, along with everyone's sense of security. "That's the part that upsets me the most, because now we don't have that feeling anymore," said Gym-Ken Owner Trisha Ferguson. It happened Tuesday evening. By Friday morning, the owner says at least one of the victims was still shaken up. "She's still having a hard time with it, she's still not sleeping, she's struggling," Ferguson said. Police are now looking at surveillance video from earlier that same night, when authorities say gang members, likely in a white Kia minivan, hit Spectrum Gymnastics in Londonderry. "There was glass all over the passenger seat," said a Spectrum victim who didn't want to be identified. She told NBC10 Boston on Friday that she was shocked to find her window smashed and her purse gone. "It's a violation, they came in to what was supposed to be mine," she said. Police say the gang has a strategy. They target locations where people leave their valuables in their cars, like a park or a gym, especially a place where parents are just running inside to pick up their kids. "They just never think about leaving their purse in the front seat and not locking the car," Ferguson said. "I've been here 28 years and we've never ever had anything like this happen so it makes it even worse." The Felony Lane Gang that started in Florida about a decade ago and has made its way up the east coast. It's now in southern New Hampshire and police warn that Tuesday's crime spree may not be the last in the area. "What they do is come into a community and stay for a while," said Windham Police Sgt. Bryan Smith. "The length of time they stay is dependent on how successful they are once they get here." So police are warning residents to be vigilant. No matter how safe you feel where you are, they say you should still lock your doors and take your valuables with you.